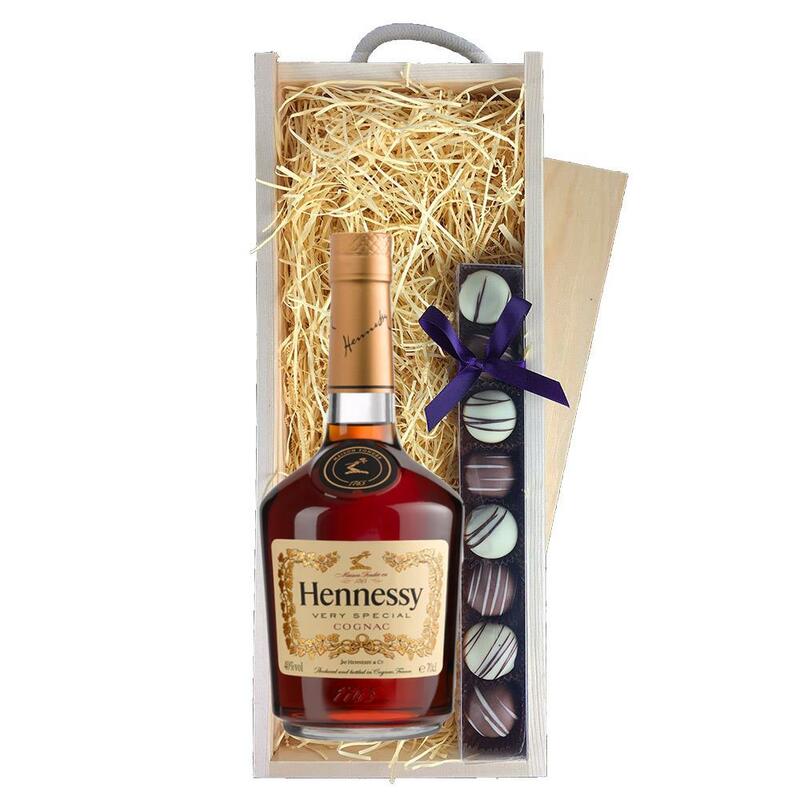 A single bottle of Hennessy VS 3star Cognac and a single strip of fine Hand Made Truffles (110g) Presented in a wooden gift box with sliding lid and lined with wood wool with a Gift Card for your personal message. Hennessy VS 3star Cognac In 1865 inspired by the decorative handle of his office window Maurice Hennessy created the star symbol that he would use to classify his cognacs. Thus was born the Three Star Cognac better known today as VS. VS is a blend of more than 40 eaux de vie from the four premier growing areas of the cognac region. Hennessy V.S displays a beautifully bright golden colour. The powerful bouquet is dominated by overtones of oak giving way to reveal a delicate scent of hazelnuts. Smooth and floral V.S combines the sweetness of red fruits with a hint of vanilla that lingers on the palate. Hennessy V.S has traditionally been enjoyed after a meal but it is also very popular mixed with ice and soda water tonic orange juice or ginger ale as a long drink.